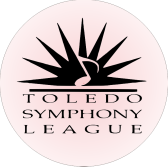 As part of the TSL Mission, we provide the TSO Musicians with “survival items.” Please, help and donate items or make a cash donation. Any amount or number that you can give is very much appreciated! We need 75 pieces of each item. We welcome any number of pieces. You need not donate all 75 pieces. Please, Send your monetary donation to Beth Williams by October 31st . If you plan to purchase items for the bags, please contact Beth so the shopping list can be adjusted accordingly. Beth Williams can be reached at 419.356.2314 (b_overmann@yahoo.com), if you have questions.